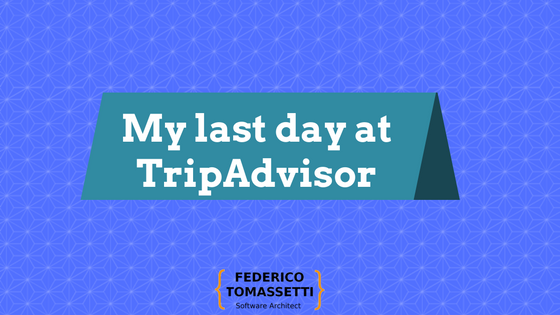 Today is my last day at TripAdvisor, where I have been part of the personalization team. I have joined this office a few months after it was started. When I arrived there were less than ten engineers and I was the second of my team, with the first being sent over from the USA. We were staying in a small office in Sheriff street. I had the chance of seeing new people joining us, knowing them one by one during these months. Many things happened, as we grew to occupy another room in the Liffey Trust and as we later moved to our new office in Grand Canal. 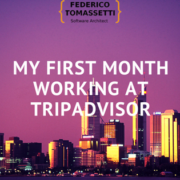 Being part of TripAdvisor has been great for different reasons. The first one is that we do something that matters (~300 Millions of unique visitors per month!) and that people love: I remember when we went to the Web Summit and everyone was stopping by to our stand just to tell us how much they loved our website, how frequently they have used it and how many reviews they had written for us. Another reason why it has been great working here is because I had fantastic colleagues. Build a no-assholes company is easy to say but difficult to deliver. Well, TripAdvisor managed. It was a pleasure to work with every single colleague. This was very important also because this one is the first engineering office outside USA, and the first remote office for my team. It meant that we had to learn on the job how to organize things. 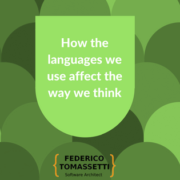 Things worked out because my colleagues and my managers (here and in the USA) were always looking for ways to improve the processes and our colleagues in the USA were supportive. Things were not perfect from the beginning, of course, but it was great to be part of a growing thing, trying to give my contribution. Here I had the chance to understand what it means to work in a successful company with a huge user base. You learn to remain calm, find a solution quickly and push that commit to production, when it is needed. I think this experience will help me a lot in my new position a Groupon, working on the Platform Services. There I hope to have the chance to work with more diversified technologies. 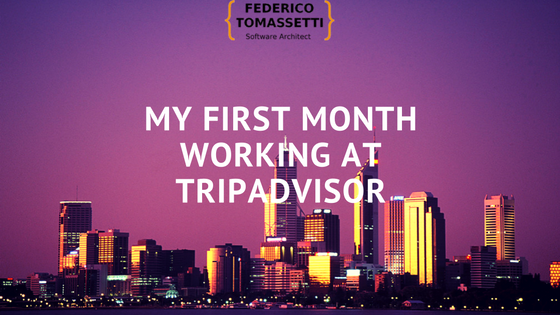 But for now, all what I want to say is thank you TripAdvisor, it has been a great time for me.